JNN 22 Mar 2014 Delhi : India has remained to be the world’s largest importer of ordnance; its arms import for the past five years was triple that of China and Pakistan combined, the Singapore Lianhe Zaobao reported. 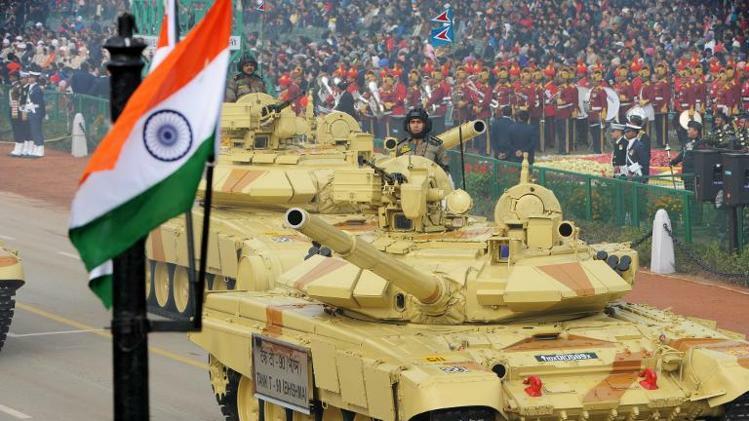 Stockholm International Peace Research Institute (SIPRI) stated in a recent report that India’s arms import rose by 111 percent from 2009 to 2013; its arms imports now account for 14 percent, up from 7 percent, of the world’s total arms import volume. The SIPRI report also found that during the same period, the world’s total arms sales had increased by 14 percent. In 2010, India overtook China to become the world’s largest arms importer, much due to difficulties in developing its own high-end weapons, a fact inconsistent with New Delhi’s rising concern regarding regional military instability. In a bid to counter the better-equipped Chinese military, India kept expanding its defense budget. Russia used to be India’s largest arms supplier, a bond in existence since the Cold War. Made-in-Russia weapons now account for three quarters of the southern Asian nation’s total arms import. Nevertheless, India has started to seek more, and more diversified, suppliers on the international arms market, including the United States. According to the February data featured on IHS Jane’s website, India became the largest importer of U.S. ordnance, with a package worth US$1.9 billion that included C-17A military transport aircrafts and P-8I maritime aircrafts. The SIPRI report noted U.S. products only accounted for 7 percent in India’s global military purchase between 2009 and 2013. In the same period, India’s long-term rival Pakistan also engaged in military build-up, to catch up New Delhi with a stunning 119 percent rise in defense budget. The trend saw Pakistan’s defense budget rise to five percent, from the two percent, of the international total. According to SIPRI, the United States, Russia, Germany, China and France are the world’s largest arms exporters, while India, China, Pakistan, United Arab Emirates and Saudi Arabia are the largest arms importers. This entry was posted in Asia Pacific and tagged China, india, pakistan, Russia, World Largest Arms Importer. Bookmark the permalink.